at The Lab, 2948 16th Street, San Francisco, CA, the festival will include performances by seven separate ensembles over two evenings. In addition, Smith will host a workshop, open only to musicians, on his Ankhrasmation Symbolic Language Scores. A full schedule of events is below. Concerts on Friday and Saturday at 8 pm; workshop on Saturday from 1-3 pm. Tickets are $35 per concert; $60 for both concerts. Workshop is $50. For information, please go to http://www.thelab.org/. The festival debuted in April 2017 in New Haven, CT where it will continue each year. “This idea had been in a dream state for many, many years,” Smith says. That long-cherished dream is being realized with support from the Doris Duke Charitable Foundation, which awarded Smith the Doris Duke Artist Award in 2016. 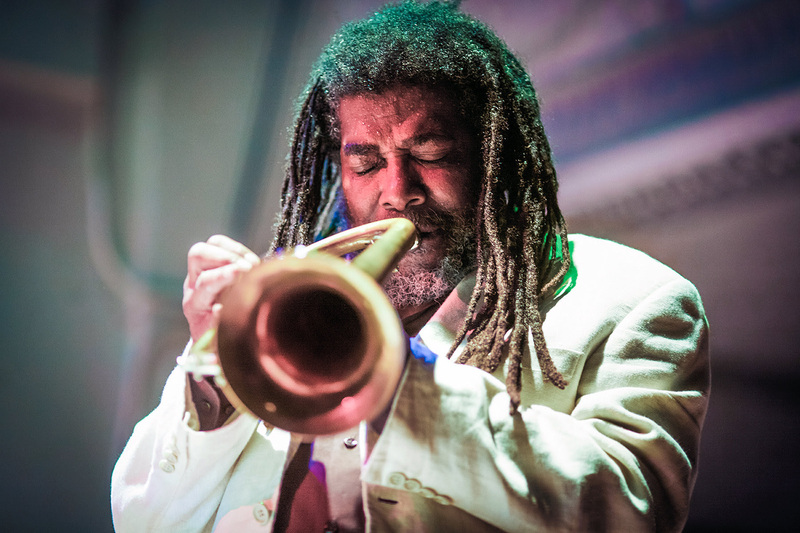 The weekend opens with the premiere of South Central L.A by guitarist Lamar Smith (Wadada’s 22-year-old grandson) leading a trio featuring Hardedge and Pheeroan akLaff. Friday’s program continues with Wadada Leo Smith’s Silence featuring Smith with David Leikam on Moog synthesizer and Davis on piano; and RedKoral Quartet, a string quartet specially assembled to perform Smith’s music, comprising longtime collaborators Shalini Vijayan and Mona Tian (violins), Andrew McIntosh (viola) and Ashley Walters (cello), joined by Smith and Hardedge. Both evenings will culminate with a performance of music from “America’s National Parks,” a six-movement suite inspired by the scenic splendor, historic legacy, and political controversies of the country’s public landscapes, performed by Smith’s newly-expanded Golden Quintet: Smith, pianist Anthony Davis, bassist John Lindberg, drummer akLaff, and cellist Walters along with video artist Jesse Gilbert. Cuneiform’s 2016 2-CD recording of the work was widely acclaimed, taking its place at or near the top of most annual lists of the year’s best releases. 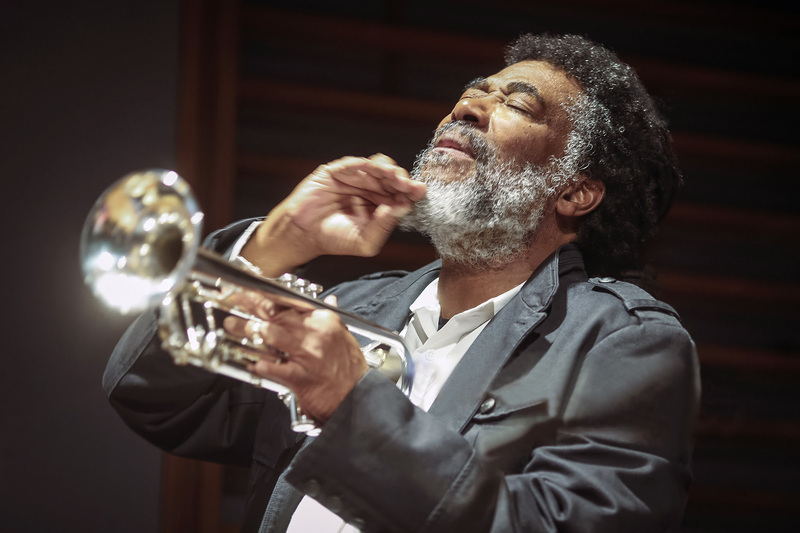 JazzTimes wrote that the album “unites political engagement with a soul-deep connection to nature… rich with ineffable majesty, [the suite] fully engages with tensions at the heart of the American experience.” DownBeatnamed America’s National Parks as the Jazz Album of the Year in its 65thAnnual Critics Poll. Saturday’s line-up includes a performance by the Bay Area’s Rova, a saxophone quartet featuring Larry Ochs, Bruce Ackley, Jon Raskin and Steve Adams. Also on the program is Earth featuring Smith, pianist Motoko Honda, haegeum player Soo Yeon Lyuh, and percussionist William Winant; and Pacifica featuring Smith, guitarist Henry Kaiser and bassist Lindberg. In order to further that comprehension, Smith (aided again by Gilbert’s images) will offer an afternoon workshop for musicians on his Ankhrasmation Symbolic Language Scores. In October 2015 The Renaissance Society at the University of Chicago presented the first comprehensive exhibition of Smith’s Ankhrasmation scores, which use non-standard visual directions, making them works of art in themselves as well as igniting creative sparks in the musicians who perform them. In 2016, these scores were also featured in exhibitions at the Hammer Museum, and the Kalamazoo Institute of Arts and Kadist in San Francisco. Born December 18, 1941 in Leland, Mississippi, Smith’s early musical life began at age thirteen when he became involved with the Delta blues and jazz traditions performing with his stepfather, bluesman Alex Wallace. He received his formal musical education from the U.S. Military band program (1963), the Sherwood School of Music (1967-69), and Wesleyan University (1975-76). Friday, December 15: 8:00 p.m.
New Piece / South Central L.A.
Saturday, December 16: 1:00 – 3:00 p.m.